Sean Evans is a criminal defense attorney in Houston and Conroe who grew up just east of Houston in Mont Belvieu, Texas. Prior to co-founding Evans & Powell, PLLC, Mr. Evans worked at a Personal Injury law firm in Houston and has experience helping injured clients. Although a small portion of the Evans & Powell, PLLC practice, Mr. Evans heads the personal injuries division and works closely with those clients out of the Houston Office. 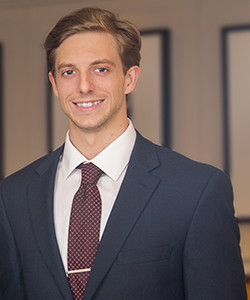 Mr. Evans completed law school in two years at South Texas College of Law – Houston and is also a graduate of University of Texas at Austin. He is a member of several different prominent legal associations and organizations. Mr. Evans enjoys outdoor activities, working out and spending time with his family and friends.